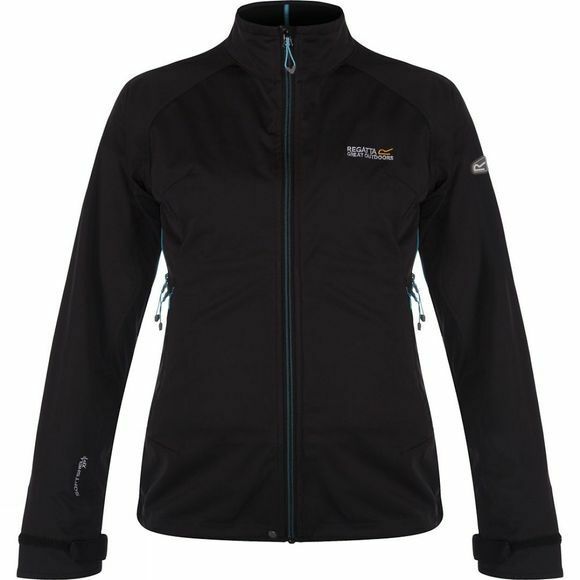 The Women's Shyann II Softshell Jacket is ideally suited to high energy walks, hikes or even cycling where you'll feel the benefit of the top-performing membrane. The Softshell XPT fabric is very low in weight and high in wind resistance, moisture control and stretch. The DWR (Durable Water Repellent) finish guards against showers while underarm zips, adjustable cuffs and a shockcord hem offer plenty of venting options when things are hotting up.